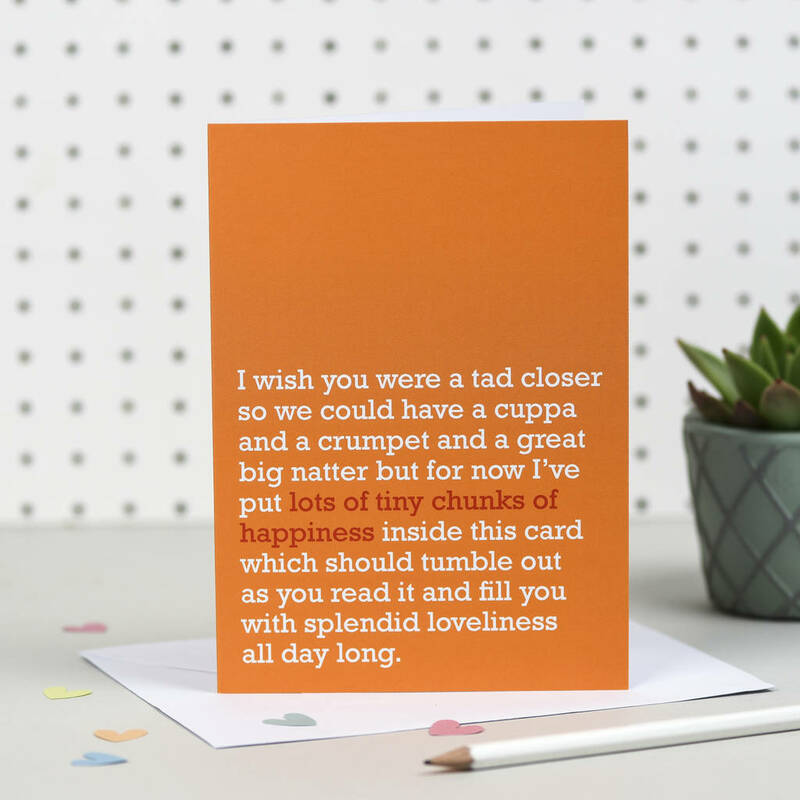 Brighten someone's day with a warm hug through the post in the form of this quirky card. 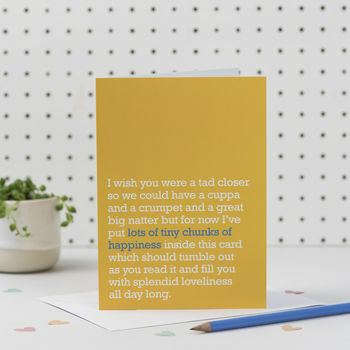 If these words are along the right lines for someone you know, then this is the card for them. 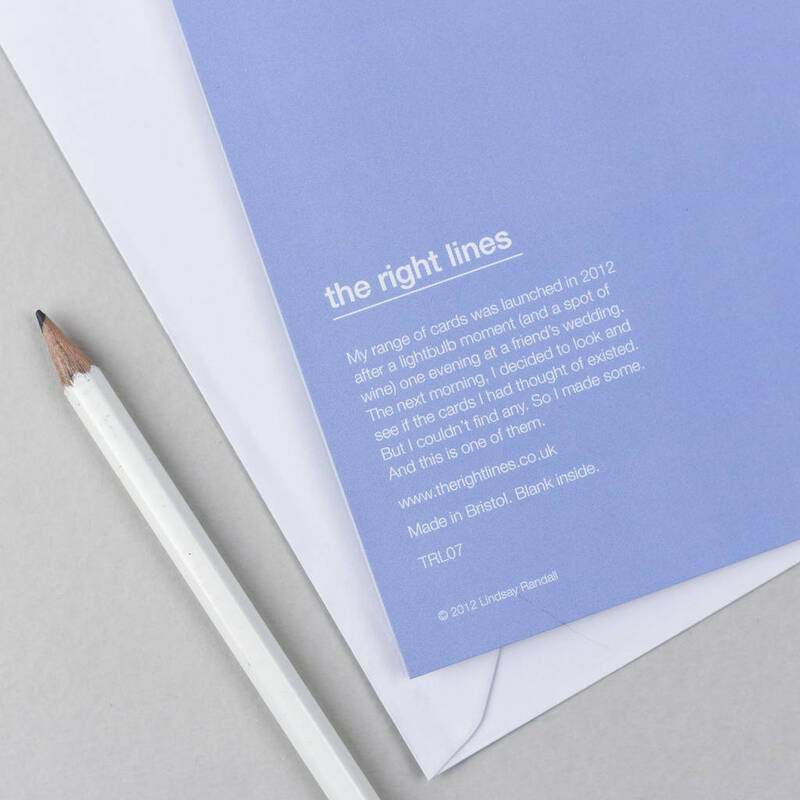 It is supplied with a white envelope inside a clear cello bag so it'll arrive with you beautifully clean and is dispatched in a DO NOT BEND envelope to prevent naughty postfolk from trying to squish it in through your letterbox.